Can Dogs and Robots Be Companions? 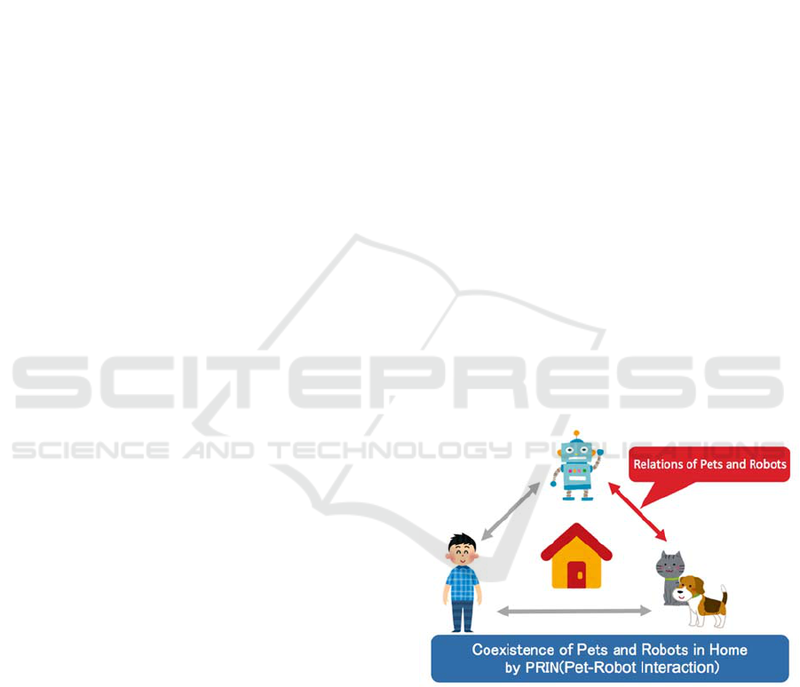 Keywords: Pet, Animal, Robot, Interaction, Home. humans and robots in a human-robot interaction field. represent the bad relationships of pets and robots. through various situations at home. Figure 1: Image of PRIN. RQ1 : Can robots take care of dogs? behavior of robots toward dogs? Suzuki M., Sei Y., Tahara Y. and Ohsuga A. 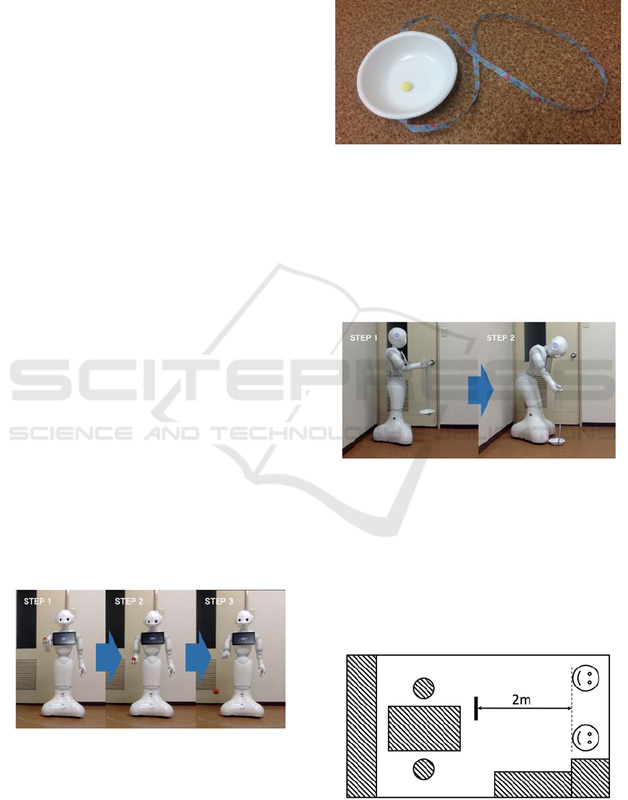 An Observation of Behavioral Changes of Indoor Dogs in Response to Caring Behavior by Humanoid Robots - Can Dogs and Robots Be Companions?. robots and the preparations made for the experiment. describe the results of the experiment in Section 4.
given to it by robots. play ball and dogs that do not play ball. whether the dogs ate. This was repeated five times. the following three actions for it to throw the ball. fingers while swinging the arm up. Figure 3: The robot throws a ball. on the floor using the string secured to the bait tray. We use the bait that each dog eats normally. Figure 4: Bait tray with a string to it. Figure 5: The robot puts the tray on the floor. freely. In the room, there were chairs and tables. robots. The two robots faced the center of the room. Figure 6: Sketch of the room. food in front of either robot. color of clothing was replaced for each test dog. of the procedure for each caring behavior. its mouth. This was repeated 10 times. first. This was repeated 5 times. of the eyes of a dog. Figure 7: The procedures of the experiment. couldn’t concentrate on this part of the experiment. conditions and procedures described below. Condition 1: The care robot feed the dog. the four steps below for each participant dog. from first. This was repeated 5 times. and this occurred an average of 9.88 times. Q], and this occurred an average of 0.375 times. the ball with dogs. And, it is equal human fed. ate the bait the other nine times. that play ball with robots” first ate from each robot. care robot more times than care robot. frequency of times the dogs ate are not equal. robot more often than non-care robot. robot after the first feeding. robot an average of 3.857 times (Figure 12). eating from care robot more often. robots” first ate the bait in front of each robot after feeding. 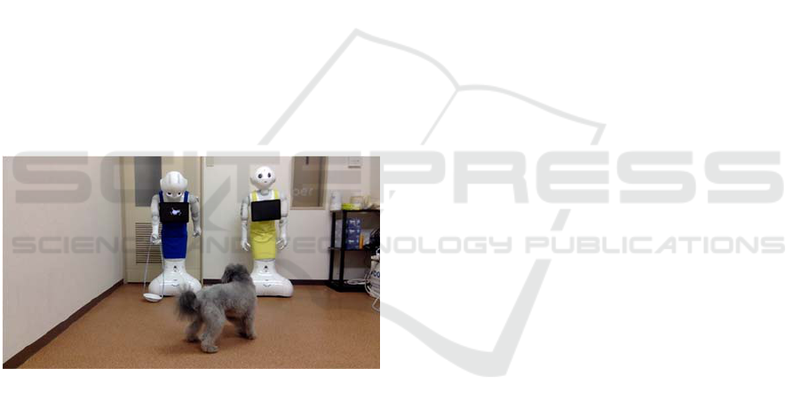 Figure 13: The dog was surprised and ran away from robot. In animal-computer interaction, Zeagler et al. yellow and blue (Neitz, 1989). Mancine et al. 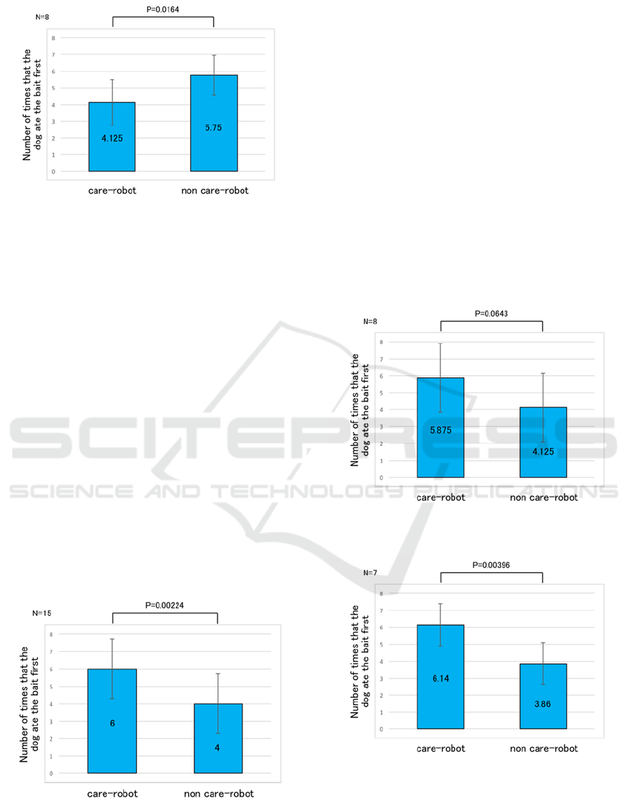 of these studies observe animal behavior in a system. relationship between pet and owner. 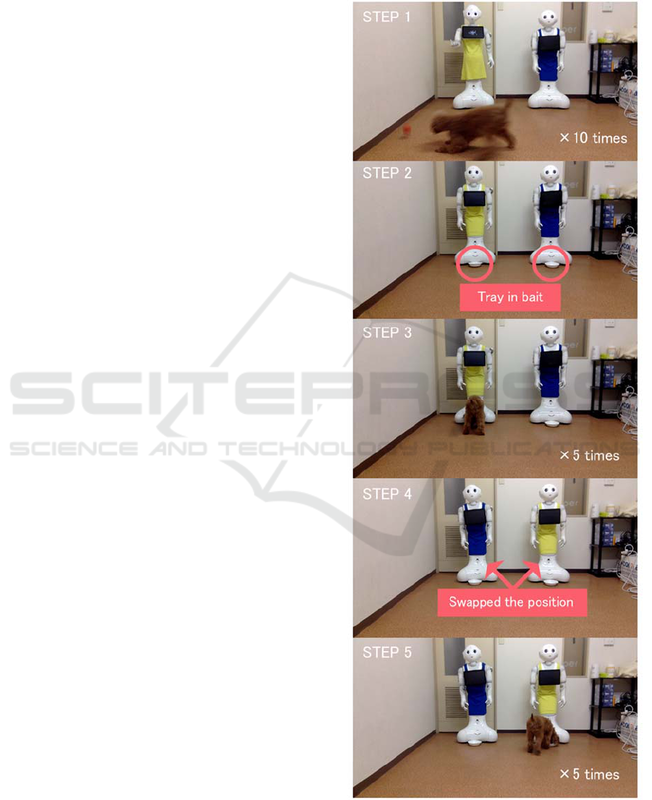 behavior of a robot influences the behavior of the dog. 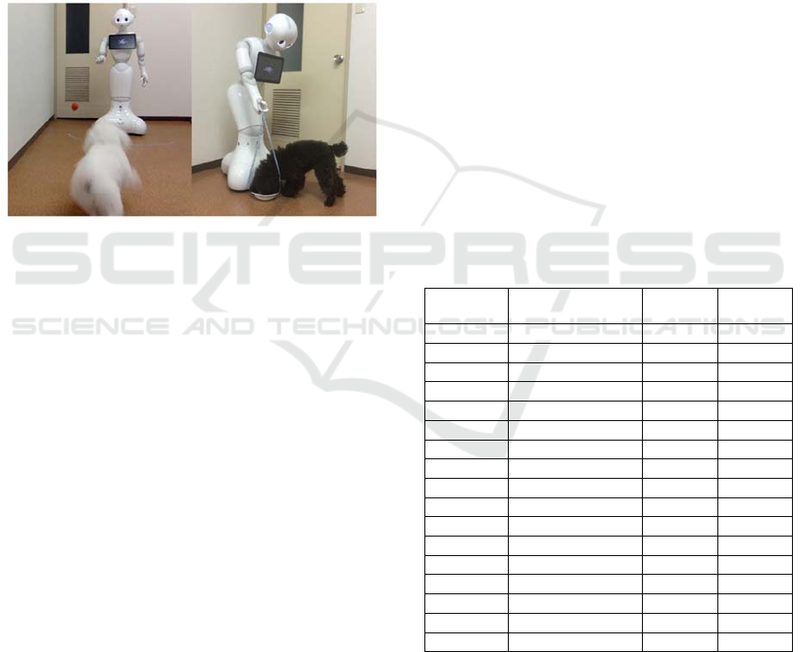 dog, researches on home robot will advance. Numbers 26330081, 2687020, and 16K124111. Technology for their help in this experiment. 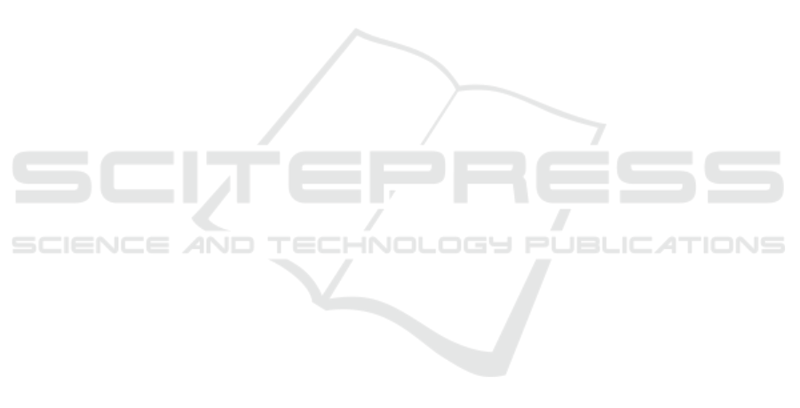 Research Inc., including Dr. Nishimura and Mr.
Smarr, Tiffany L. Chen, Tracy L. Mitzner, Charles C.
Muszynski, Veronika Konok, Krzysztof Tchon, A.
volume 17, Issue 2, pp.387-397. Hitomi Chijiiwa, Hika Kuroshima, Yusuke Hori, James R.
James Kennedy, Paul Baxter and Tony Belpaeme, 2015. K. L. Koay, G. Lakatos, D.S. 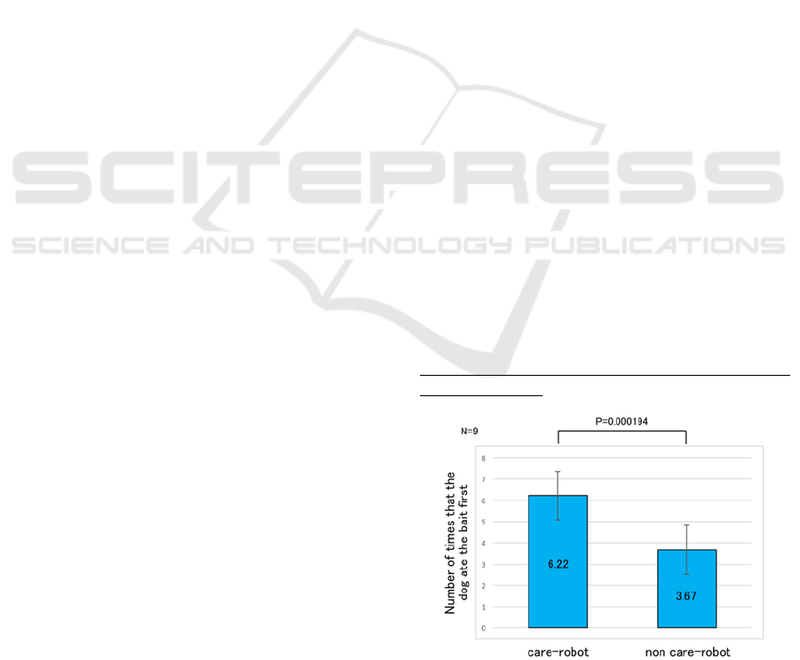 Syrdal, M. Gácsi, B.
Bereczky, K. Dautenhahn, A. Miklósi and M. L.
Onaka, Kazutaka Mogi and Takefumi Kikusui, 2015.
human-dog bonds, Science, volume 17, pp.333-336.